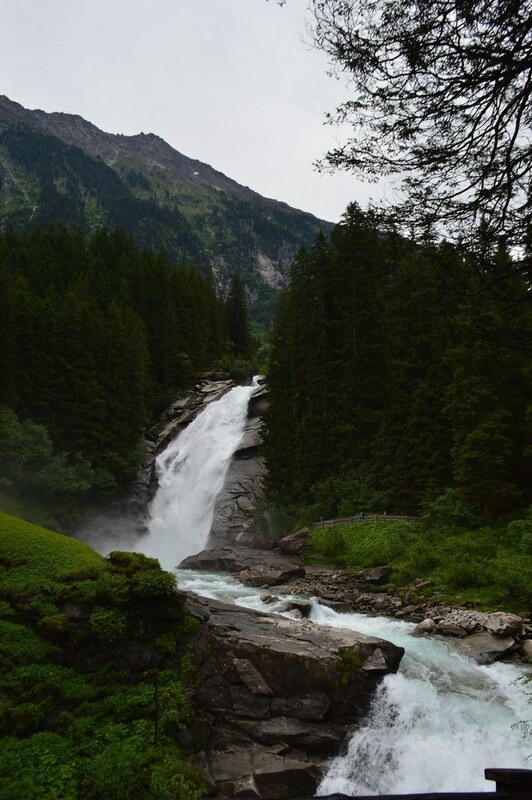 The falls are on the Krimmler Ache river and are located near the village of Krimml in the High Tauern National Park in Salzburg state. 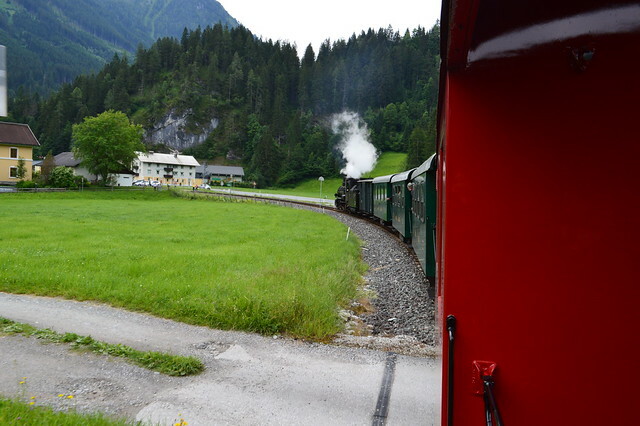 We took a narrow gauge steam train from Zell am See to the falls. 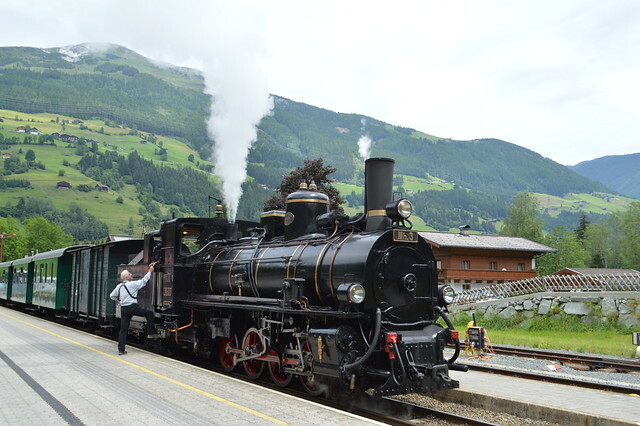 The local Pinzgau train has been around since 1898 and I loved the slow and romantic trip through the wonderful Upper Pinzgau landscape. 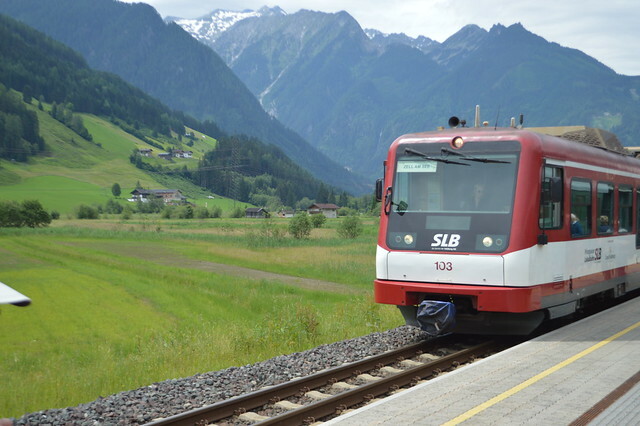 Most narrow gauge railways only run for a couple of miles and are run by enthusiasts but this one was run by SLB and covers about 56 kilometres of track. You can take both modern and steam trains along the route. There's plenty of other stops you can get off at and explore and you can find the full route here. The Steam Train 399.01 which I rode on was built in 1906 and is almost as old as the track itself. 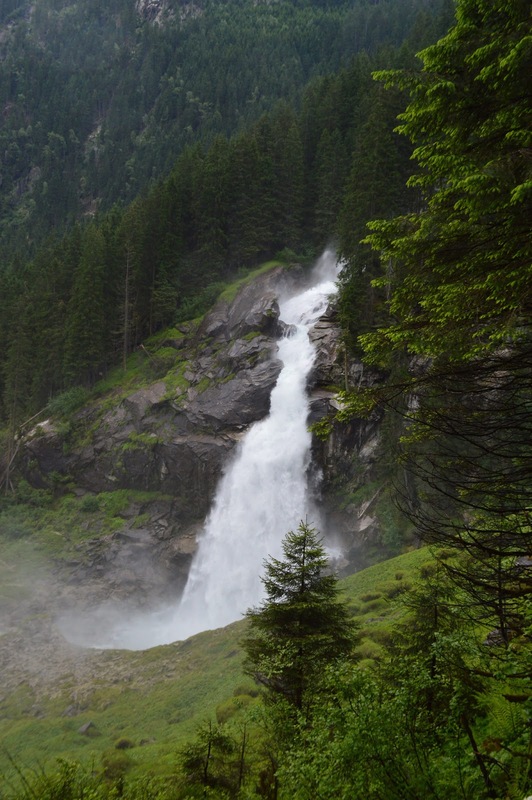 The waterfall begins at the top of the Krimmler Ache valley, and plunges downward in three stages. The upper stage has a drop of 140 metres, the middle of 100 metres, and the lowest a drop of 140 metres. It takes about 2 hours to climb to the top and even though there is a path it is pretty steep so I wouldn't recommend it to anyone with mobility issues. We walked about two thirds of the way up and got some spectacular views over the valley and the falls. About 400,000 people visit the falls annually so it can get pretty busy. The misty spray of the waterfall creates ideal growth condition for hundreds of mosses, lichens and ferns. The surroundings are the habitat for 62 bird species so there is plenty to see and the falls are a full day out if you get the train there and back. 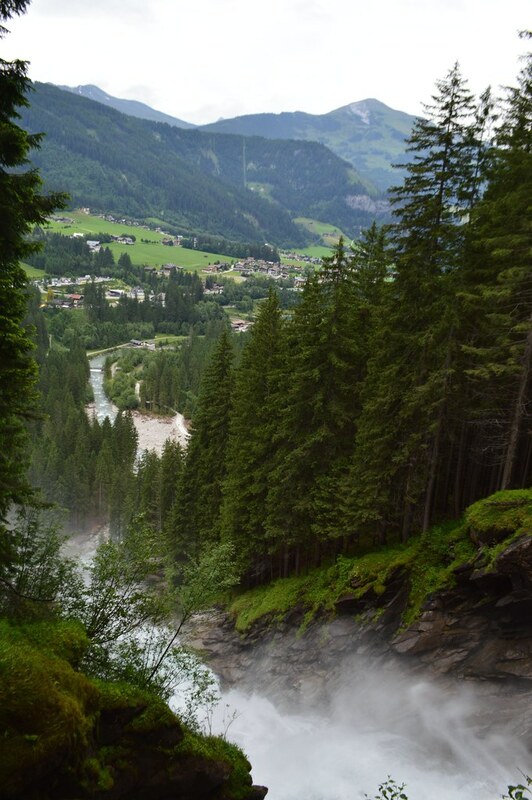 The Krimml Falls are also of historic note and the path over the falls was used by Jewish refugees after WW2 as an escape route to Italy and Palestine. 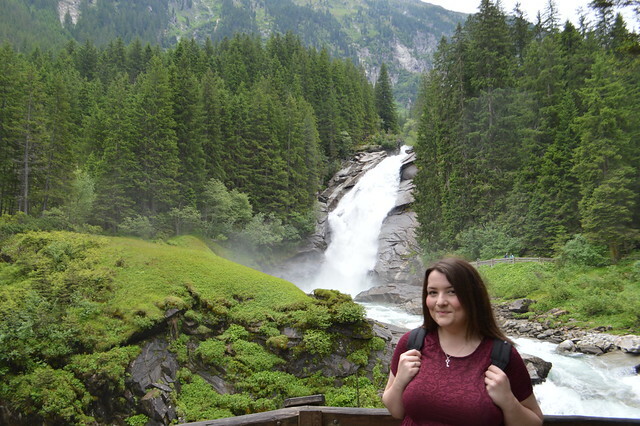 I would love to return to the Tauern National Park in the future and explore more than just the waterfalls. Never heard of this one but what a nice trip, love the option of steam and modern too. 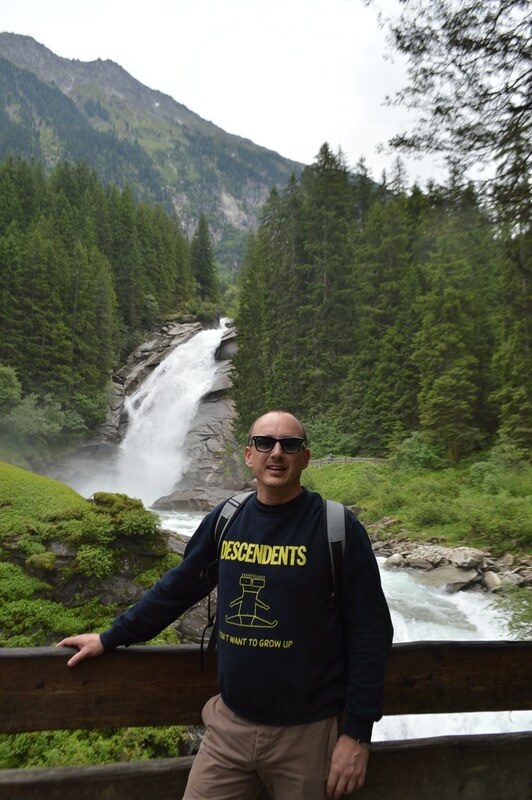 I've been to Austria but not to these waterfalls. What a beautiful area. 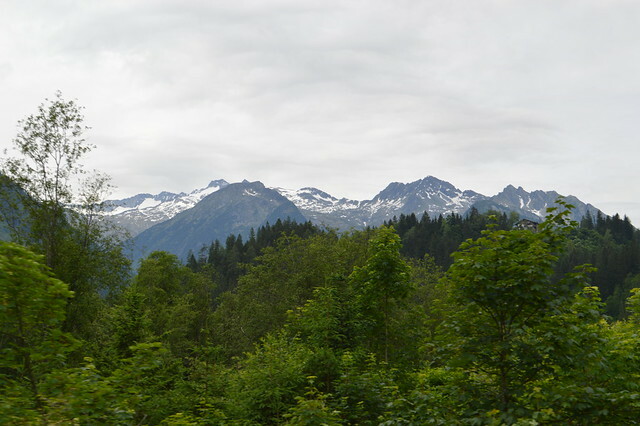 I found Austria very green and pretty when we went. Wow! The photos are beautiful. You've taken some gorgeous pictures. I love going to places that are a little different and actually gaining lifelong experiences. I hope you had a blast! This holiday looks like it was made for you!